Eastern CT – Thomas “Tony” Sheridan, President & CEO of the Chamber of Commerce of Eastern Connecticut, has been appointed to head the Connecticut Airport Authority (CAA). The CAA is a public/private partnership that develops, improves, and operates six aviation facilities in Connecticut to promote the state to business interests in the US and abroad. In his role as Chairman of the Board of Directors of the CAA, Sheridan will lead a team of eleven other experienced individuals in overseeing operations at Bradley International Airport and the five other general aviation facilities within the state. Connecticut Governor Dannel Malloy, who appointed Sheridan to the Chairman position, praised Sheridan’s proven commitment to improving business interests in the state. “Tony Sheridan works every day with the business community to help improve growth and development. Appointing him to serve as Chairman of the Connecticut Airport Authority is a natural fit,” Governor Malloy said in a statement. Plans are already in place for a $1.4 billion renovation project for Bradley International Airport to keep it competitive against other airports in the American northeast. The renovation plan calls for a new terminal, new transportation center, and improved car rental access. Sheridan, a native of Oldcastle, Ireland, first came to the US in 1964. He became a licensed plumber and pipe fitter and attended Connecticut College. After graduating, he received a Watson Fellowship to study worker participation in decision-making in several European countries. He worked for thirteen years for Connecticut College as Director of Human Resources and volunteered for numerous local boards and non-profit agencies. 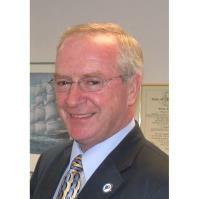 Sheridan was elected First Selectman of the Town of Waterford for four terms beginning in 1991. His tenure was notable for his efforts to maximize government efficiency by consolidating resources and developing new councils. Following his time in public service, Sheridan served as External Relations Consultant for Northeast Utilities and was named as Manager of Community Relations for Dominion Nuclear Connecticut. Since 2004, Sheridan has served as President & CEO of the Chamber of Commerce of Eastern Connecticut, one of the largest and most prolific business network groups in the state. Sheridan has led the organization to strong financial footing, increased membership, and an esteemed public presence. Sheridan succeeds Charles R. Gray as Chairman of the CAA. His four-year term concludes in 2022.